The combination of fexofenadine and pseudoephedrine (Allegra-D) is used in adults and children 12 years of age and older to relieve the allergy symptoms of seasonal allergic rhinitis ('hay fever'), including runny nose; sneezing; congestion (stuffy nose); red, itchy, or watery eyes; or itching of the nose, throat, or roof of the mouth. Fexofenadine is in a class of medications called antihistamines. It works by blocking the effects of histamine, a substance in the body that causes allergy symptoms. Pseudoephedrine is in a class of medications called decongestants. It works by drying up the nasal passages. The combination of fexofenadine and pseudoephedrine (Allegra-D) comes as an extended-release (long-acting) tablet to take by mouth. The Allegra-D (fexofenadine and pseudoephedrine) 12-hour tablet is usually taken once or twice a day on an empty stomach with water. The Allegra-D (fexofenadine and pseudoephedrine) 24-hour tablet is usually taken once a day on an empty stomach with water. Allegra-D (fexofenadine and pseudoephedrine) will work better if it is not taken with fruit juices such as orange, grapefruit, or apple juice. 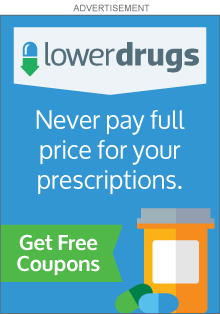 Take Allegra-D (fexofenadine and pseudoephedrine) at around the same time(s) every day. Follow the directions on your prescription label carefully, and ask your doctor or pharmacist to explain any part you do not understand. Take Allegra-D (fexofenadine and pseudoephedrine) exactly as directed. Do not take more or less of it or take it more often than prescribed by your doctor. Allegra-D (fexofenadine and pseudoephedrine) controls the symptoms of seasonal allergic rhinitis but does not cure this condition. Continue to take Allegra-D (fexofenadine and pseudoephedrine) even if you feel well and are not experiencing these symptoms. If you wait too long between doses, your symptoms may become worse. do not take Allegra-D (fexofenadine and pseudoephedrine) if you are taking monoamine oxidase (MAO) inhibitors, including isocarboxazid (Marplan), phenelzine (Nardil), selegiline (Eldepryl), and tranylcypromine (Parnate), or have taken them within the past 14 days. tell your doctor if you have glaucoma, difficulty urinating, high blood pressure, or coronary artery disease (condition that occurs when the blood vessels of the heart are narrowed by fat or cholesterol deposits). Also tell your doctor if you have had symptoms such as insomnia, dizziness, weakness, shaking of a part of your body that you can not control, or a fast, pounding, or irregular heartbeat after taking adrenergic medications such as phenylephrine (Neo-Synephrine), or epinephrine (Primatene Mist, EpiPen). Your doctor may tell you not to take Allegra-D (fexofenadine and pseudoephedrine). tell your doctor if you are pregnant, plan to become pregnant, or are breast-feeding. If you become pregnant while taking Allegra-D (fexofenadine and pseudoephedrine), call your doctor. Allegra-D (fexofenadine and pseudoephedrine) may cause other side effects. Call your doctor if you have any unusual problems while taking this medication. If you are taking Allegra-D (fexofenadine and pseudoephedrine) 12-hour tablets, you may notice something that looks like a tablet in your stool. This is just the empty tablet shell, and this does not mean that you did not get your complete dose of medication.